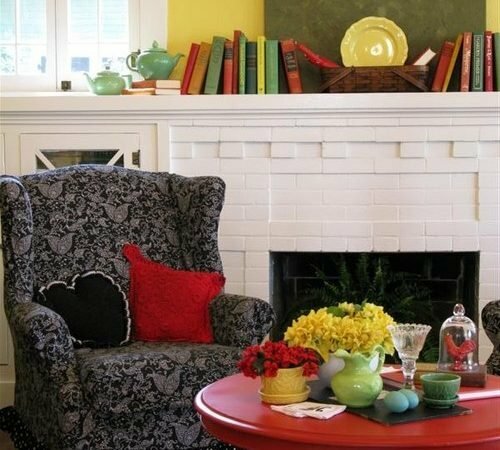 “Combining her love for colors, unique vintage goods and shop thrifting, Kim was able not just to create a warm and beautiful home for her family, but also to inspire thousands of readers as well as many magazines that fell in love with her lovely daisy cottage.“ She also said her favorite colors are red and yellow and that they lift her spirits and she feels energized when surrounded by them. I could not agree more. 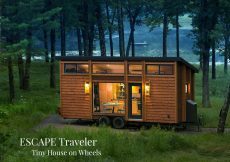 The first time I laid on eyes on her yellow bungalow I had cottage decorating ideas dancing in my head. Fall in love like I did with this bright yellow bungalow and all its cottage decorating ideas. So many colors and items yet it does not look cluttered. 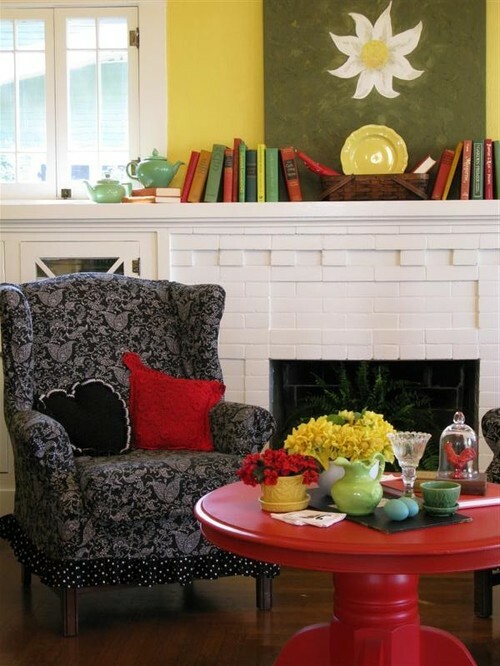 The table height and color of red in the yellow room together are stunning, grounded by the black chair fabric and adorable black heart pillow. Charming kitchen. 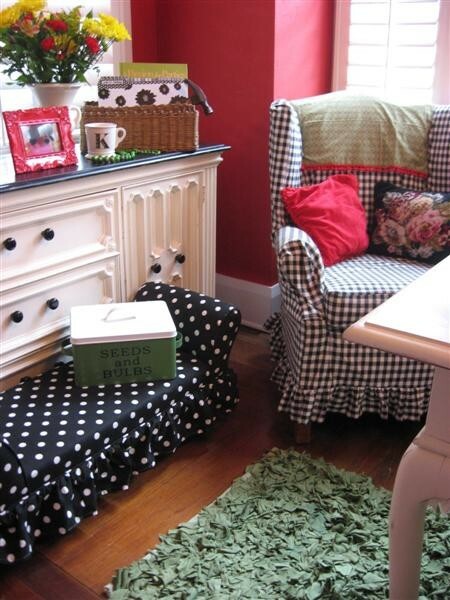 Love the jet black chair and large black and white tile with touches of red sprinkled about. Elegantly lighted by a vintage chandelier. 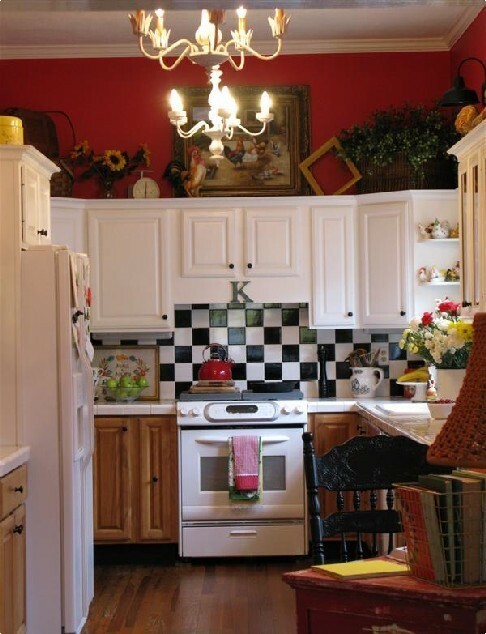 Cottage decorating ideas can now include wood and white cabinets mixed together like this kitchen that pulls it together beautifully. Close up of the wonderful black chair shows off its carved details. Cozy home office. 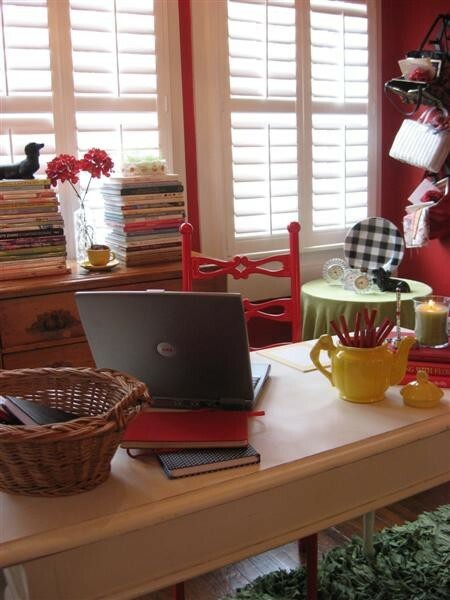 I’ve always been afraid to paint a room red, but this one makes me brave for all the right reasons. 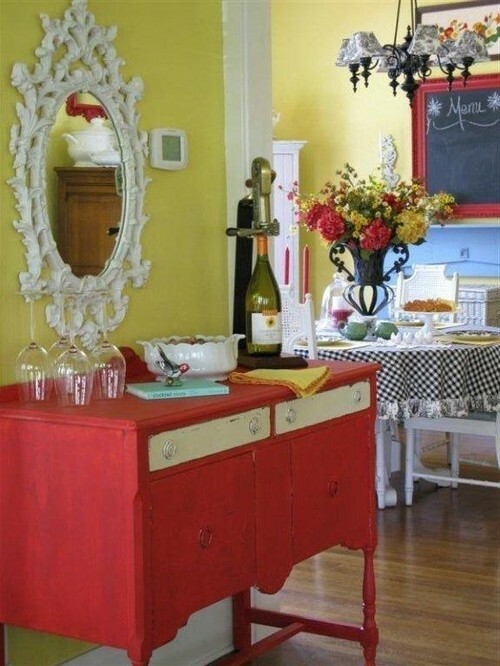 Red and yellow together are also one of my favorite color combinations. 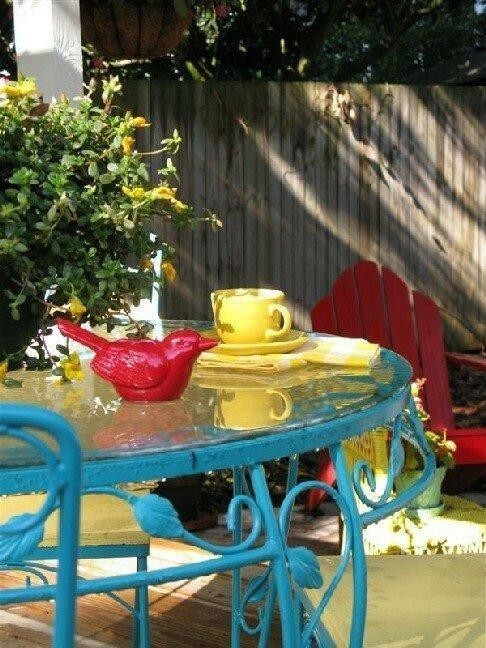 Love everything from the red Adirondack chair in the background to the turquoise iron patio furniture adorned by red and yellow. 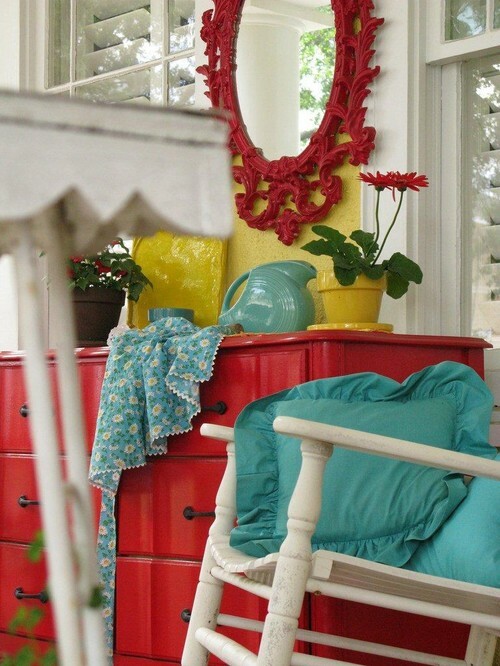 My favorite is this ornate mirror in red that sits on her porch. 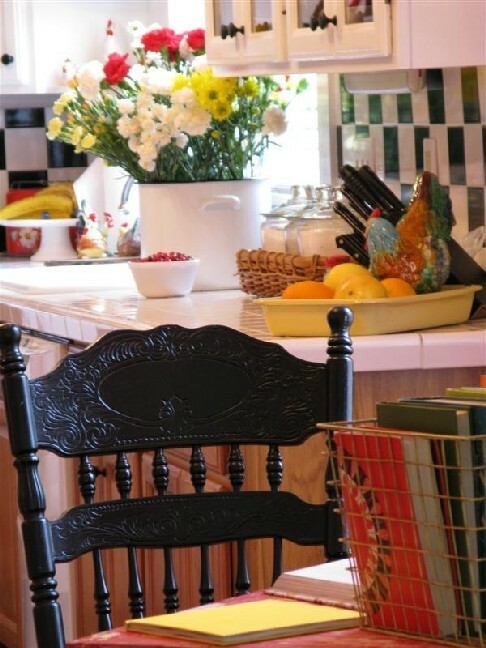 Kim McCole of Dear Daisy Cottage is a master arranging furniture and colors in her bright and cheerful house. 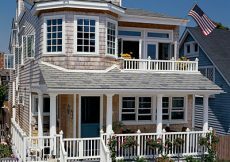 If you’d like to see more of this colorful, happy cottage, head over to Houzz. 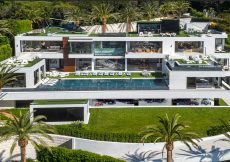 Tour America’s Most Expensive Home: A BelAir GiGa Mansion! I drive by this house every day on my way to work and always admire it. 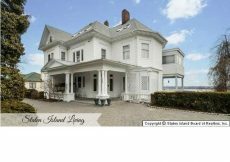 Everyday I wonder what the inside of this beautiful would look like, then I came across this online and saw the picture of the front porch and said to myself “hey I know that house”. I actually saved a picture years ago of the teal iron patio, I even copied the look but upholstered my seats in white and yellow chevron print. I saw this is in Florida and knew right away its the same house I passed by daily. 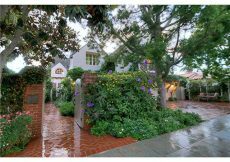 Kim your house is simply adorable love your taste and style. I will continue to drive by everyday to work and admire your home. 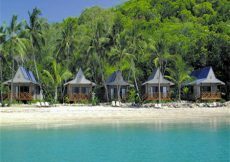 I am so happy to hear you found the post about Kim’s amazing cottage. She really has mastered her decor colors to the point of making one happy at first glance. Have a nice weekend and thank you for your nice comment. I love the black and white backsplash. This woman really knows her way around the color wheel! Knows her way around the color wheel – that is a perfect description. Interesting too now that I take another look is that she has white cabinets on top and wood cabinets on the bottom in the kitchen. Hi Anj and thanks for stopping. I am loving these primary colors! So fresh and fun! What a great cottage! I loved its fresh and lively decorating especially as cloud covered days are upon us here in the Midwest. 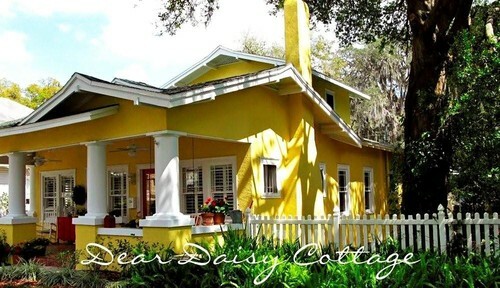 I use to follow Daisy Cottage, but I lost track of her blog when she changed it to more of a photography blog. She and I share a love of color. I was thinking about you nonstop Carol, you are a perfect colorful cottage!